Equity—just and fair inclusion in society in which all can participate and prosper—has become more than a moral issue. It is now an economic imperative. 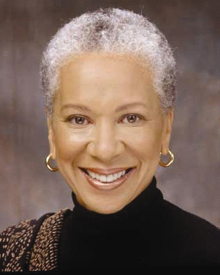 Angela Glover Blackwell founded PolicyLink in 1999 and continues to drive its mission of advancing economic and social equity. Under Blackwell’s leadership, PolicyLink has become a leading voice in the movement to use public policy to improve access and opportunity for all low-income people and communities of color, particularly in the areas of health, housing, transportation, education, and infrastructure. Blackwell is the co-author of the recently published Uncommon Common Ground: Race and America’s Future (W.W. Norton & Co., 2010), and contributed to Ending Poverty in America: How to Restore the American Dream (The New Press, 2007) and The Covenant with Black America (Third World Press, 2006). Blackwell earned a bachelor’s degree from Howard University and a law degree from the University of California, Berkeley. She serves on numerous boards and served as co-chair of the task force on poverty for the Center for American Progress.